Redd Kross just released its first album in 15 years, which we honestly didn’t think was going to happen. Researching The Blues (Merge) is as close to our Platonic ideal of what a rock ‘n’ roll record should sound like: punk-rock fury mixed with power-pop hooks and tinged with a fringe of psychedelia. Researching embodies the best of what the band has done since it started out 34 years ago (during the first wave of L.A. punk) and continued throughout the ’80s and ’90s while taking perpendicular approaches to the prevailing trends of the era. In an age where the tenets of genre conventions and the rigidity that once separated sounds and scenes are no longer relevant, Redd Kross returns as prodigal sons. 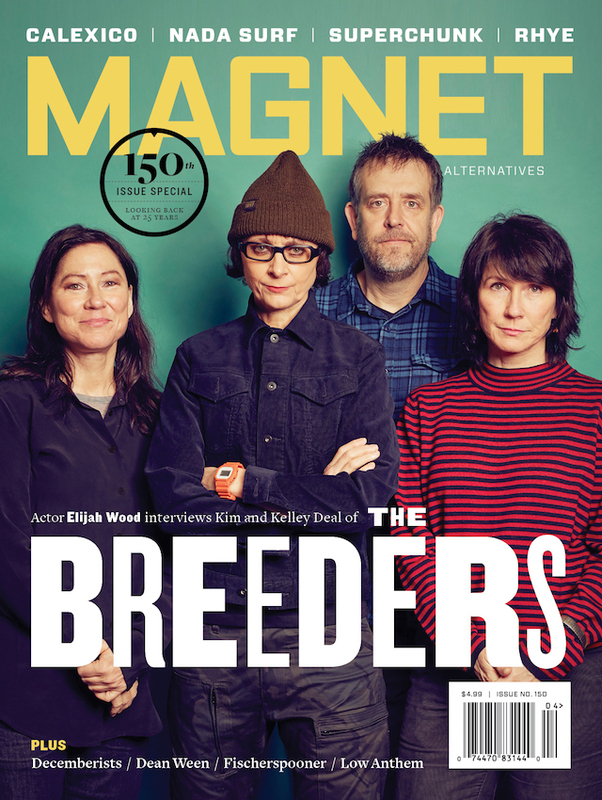 Brothers Jeff and Steve McDonald, Roy McDonald (no relation) and Jason Shapiro will be guest editing magnetmagazine.com all week. Read our brand new feature on them. Steve McDonald: I really like ABBA. They make me happy. Which is sort of ironic, because I get the sense that they’re intense people. But maybe I’m just projecting that on to them because they have chosen to not reunite … ever … When Redd Kross went on our nine-year hiatus starting around ’97/’98, I was about 31 years old. That was a rough time in my life. Because the band had started when I was only 11 years old, by the time I was turning 30 I had been living the “Eye of The Tiger” rock ‘n’ roll dream for nearly two decades. I began to think it might be just a wee bit irresponsible to still be chasing career goals I had formulated before I had even hit puberty. I found myself enrolling in classes at various community colleges around town. Of course, they were mostly music-related classes (old habits die hard), but still all the same I was going through a bit of a metamorphosis and found it hard to listen to a lot of the tunes I had always depended on to get me through the tough times. There was a tape stuck in the cassette player of my little pickup truck. I could only bare to listen to talk radio most of the time, but when I was feeling really brave, the copy of ABBA Gold that couldn’t be pried out of my player had a miraculous power to lift my spirits. I had grown weary of all my Beatles and Stones records. I guess I sort of blamed them for getting me into the damn predicament in the first place, and for whatever reason I just trusted that Benny and Björn understood. It was true, ABBA seemed to know exactly how to soothe and nurse me back to my rocking self. From the sheer pop ecstasy of “Dancing Queen” to the agony of “The Winner Takes It All,” I had all the recreational listening I would need for the next two years on that little nice-price cassette. I eventually crawled my way out of my funk. 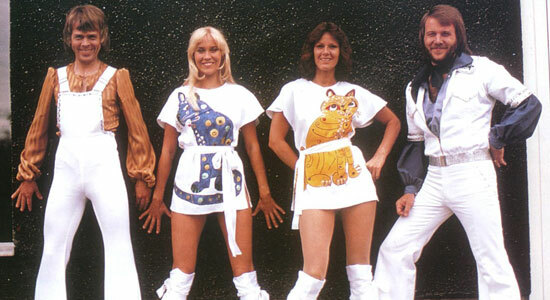 But I’m not sure it would’ve been possible without the playful, dazzling and sometimes melodramatic coaxing of Anni-Frid, Benny, Björn and Agnetha—also known as ABBA!